Vaseline a.k.a. petroleum jelly is the oldest and the most popular cosmetic product used all over the world. Its versatility can be recognized from the fact that it is extensively used in innumerable skin problems and ailments’ including chapped hands or lips, toenail fungus, chest colds, nasal congestion, cracked feet – the list goes on! It is also used as an ingredient in skin lotions and cosmetics. This wonderful multi-purpose product has one more delightful use in its kitty. Vaseline can actually make your eyelashes grow longer and thicker. This craze for long and thick eyelashes is such that girls and women of all ages are constantly trying out all kinds of products and remedies under the sun. Though many claim that castor oil is effective, there is no scientific evidence or data to prove it. Read about it in “Castor oil may not make your eyelashes grow longer”. I love the Vaseline. It really does make lashes longer and thicker. One of the best to come out in the past couple of years. do you apply it before you go to bed or underneath your mascara? You should remove all traces of eyemakeup before you go to bed and then apply vaseline with a clean mascara wand. Do this for at least a month and see if it works for you. Has anyone tried both castor oil and Vaseline to compare results? It's interesting that the article admits there is no scientific evidence to prove either one, yet dimisses one and not the other. Why? If you apply the vaseline the night before and continue this can you still wear mascara? or only a little? You have to remove all traces of Vaseline on your lashes before applying mascara. i have a bottle of castor oil, which claims to work wonders too. but i just keep forgetting to use it. Yes really..vaseline doo wonders..jus try it once..
i will sooo use it!!! i just took off my eye lashes i used to have long eyelashes i just wanted a thicker look but now my eyelashes have gonee thin . so if i start using vaseline will my eyelashes drop off like ive read in previous comments ? They did not say that Vaseline will make your lashes drop off. They drop off naturally every day, week and month. They said the new ones that grow back in will be longer. Please read things correctly. I use Vaseline to remove my mascara, eye liner and shadow everyday. This works before or after a shower and doesn't sting if you get it in your eyes. Plus, it's very cheap. I've been using the same Vaseline jar for over a year and it was under $3.00. This is exactly what i’ve been looking for! Thanks again, you’ve been a tremendous help. I say use the Vaseline. Vaseline is not good for your lashes. It offers no nutrition for them and is more greasy than moisturizing. Not to mention, Vaseline will irritate your eyes, make a mess and can potentially clog the pores around your eyes. To achieve nourished lashes look for a mascara formula that offers vitamin and cola gen rich ingredients. If you don't want to deal with colored mascara look for a clear one that offers these benefits. Many times lash primers offer these benefits as well and these have little color and can be worn on their own over night. The shedding of lashes is likely related to just your cycle of hair loss... we all loose and re-grow lashes regularly. The Vaseline probably just stuck them to your eye which made it more noticeable. Clogging the pores around you eye however can lead to hair loss, just like it would do on your scalp, so no more vaseline!!! Eyelashes like other hair falls out to replace itself later. They go through stages. Try using a volumizing, conditioning mascara. I’ve always been interested in big eyelashes, thanks for posting this! For sheen on the eyelids, dab a bit of Vaseline for a pretty reflective quality, as well as moisture. Mascara looks good only if your eyelashes are in good condition. Use a good lash conditioner to improve the quality of your lashes. R.Firdaus I have been applying castor oil everynight before going to bed(with old mascara wand) and my eyelashes are really growing longer.I have been doing it for the past 20 days and the results are positive, but remember to wash your eyes the next morning as soon as you wake up. i just started doing it last night, i hope it works!!! Do you apply the vaseline to your lashes or to your lids? is it true that once your eyelashes fall out, they don't grow back? :O That's what my mom told me..
And do you eyelashes fall out if you use vaseline? Just like the rest of your hair, eyelashes too have a lifespan and fall out from time to time. From what I have read, eyelashes tend to fall out after 150 days and new ones grow in their place. So don't worry about losing your eyelashes, unless you have a serious medical problem like Trichotillomania, Alopecia Areata (AA)or Blepharitis. 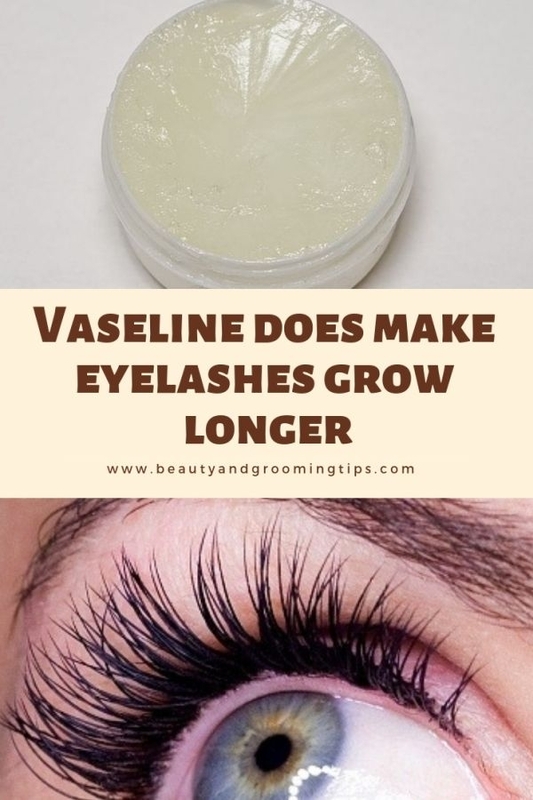 Vaseline won't make your eyelashes to fall off, you have to however apply it carefully and not rub them vigorously when you are taking it off. Hey all, I use a cosmetic called Revitalash. It is a lash conditioner that helped my lashes grow longer and thicker. It was much less expensive than latisse and does not have the nasty side effects of the drug. I love it and am not afraid to use it because it was created by an eye doctor!! ActivLash is an Eyelash Growth Serum which nourishes the hair follicle to reach its maximum capacity - long and thik eyelashes BUT doesn’t contain prostaglandin so it’s 100% safe to use (no darkenining of your eye color, no irritations, no blurry vision)!! i saw results after 3 week of use with out any eye irritation! Use Castor or olive oil. Their natural properties can actually encourage the growth of your eyelashes. A lot of women are currently using this method, simply because they have been truly effective and easy to use. The problem with them is that they can be very messy. Anyway, all you need to do is to coat your eyelids with their oil at nighttime and remove it in the morning. i dnt no wat everyone else is on about but ive its good!! it does work--i started using it wen i heard it helps to make lashes soft and supple and as i love using mascara i wanted to try-i started using a clean mascara wand and mixed a lil olive oil n vaseline every nite on lashes-after few months i noticed my lashes bumped on my specs and it irritated me.i then noticed my lashes were longer then before a lil mascara made them really stand out-i came accross ur article and im sure it was vaseline cz i had thin brows difficult to shape n i have better ones now just cz of vaseline--i dnt know abt the castor oil but vaseline sure works--it did for me and it does help to make them supple n soft n with olive oil--its a pur wonder !!! My eyelashes are short and I have been looking for a good mascara and can't find one that suits me good and I want thick long eyelashes in which that are like mascara results. I hope this Vaseline technique works.Have any suggestions for thicker longer mascaras? Stop Using Eyelash Curlers - Your eyelashes are at a greater risk of breaking when using a curler. pl.tell me anyone use the vaseline,it is safe or not?and how to apply da eyelashes? Go for something natural, you don't know what exactly is in Vaseline and it could possibly be harmful to your eyes. If anything use Castor or olive oil. A dab could be used on eyebrows to tame them. To remove lice put it in the hair to kill them. Use on face or whole body. Is also know in the beauty world as a protector to chemical services like perms or colour. They will put it around the hair line to protect your skin. Use a small amount on the heels and my elbows and knees every now and then , so yes I think I would say the same , now that i know is also used for cuts!!! Use regularly to reduce the appearance of fine lines. Vaseline is great for chapped lips and skin not to mention chaffing. If you apply it around your hairline when you are colouring your hair, it prevents the dye from staining your skin. The length of your eyelashes comes from your good genes. Others are longer because that's how they grow. Products doesn't make eyelashes grow, that's why someone invented mascara. I've tried cutting my hair in HS, like my own hair hoping it will grow longer. NOT. It grew the same length as before. As a matter of fact there are things that you can do to make your eyelashes grow longer. You can do things like eat healthy and use a eyelash conditioner that would help give your eyelashes what they need to grow. Your right about not using the fake eyelashes as the glue used to attach them would just wind up breaking them shorter over time. So I quite need this one to make them stronger and make them wanna stay! I would love my lashes to be a little longer and fuller. My lower lashes are almost as long as my upper ones lol. I’m currently using Loreal Telescopic for non-waterproof and Benefit BadGal for waterproof. I used to love my lashes, currently I like them. As I’ve gotten older my lashes have thinned and fallen out more. I’d like to get them back to where they used to be. I reach for Clinique High Lengths mascara lately. Its a great daytime look. I have short, straight lashes. I’ve always had problems keeping a curl. I have always used Dior mascara – most recently Dior’s Iconic mascara. However, for the last 2 months I haven’t been wearing mascara due to wanting my lashes to have a break from it. Get Longer Eyelashes with Just Extra Virgin Olive Oil.I have used the Extra Virgin Olive Oil to try to see if it really does work. Applying mascara to your eyelashes work at making them look longer. Use a straight brush to apply mascara horizontally. With dark colored mascara you can easily make your eyelashes look longer and thicker. There is a cheaper means of making your eye lashes look longer with mascara. Powdering eyelashes make them look fuller. I use revitalash eyelash conditioner. Aside from the reasonable price, the product is amazing. It made my eyelashes look fuller and darker, making a big difference to my face as noticed by my officemats, friends and my daughters. I love the product just as how much as Revitalash shows their affection to cancer patients. No way, i’m gonna be switching to another brand. I learned about this great product called Revitalash. A friend of mine introduced me to it. You apply it to the base of your lashes (pls. read the package instructions carefully) and behold! After 4 weeks, I couldn’t believe it at first, but my lashes have grown noticeably longer and fuller. I really love it and I would continue using it. They also have a Mascara, so if you want a more dramatic look, try both. Rogaine applied to the eyelashes works well, so do zinc supplements, they increase hair growth. You can also try rubbing a bit of vaseline on them, it will make them dark and glossy without any damage or being as harsh as mascara. Eyelash length and thickness is genetically determined and nothing you apply to your lashes can change that. The Talika's Eyelash Lipocils product should help. 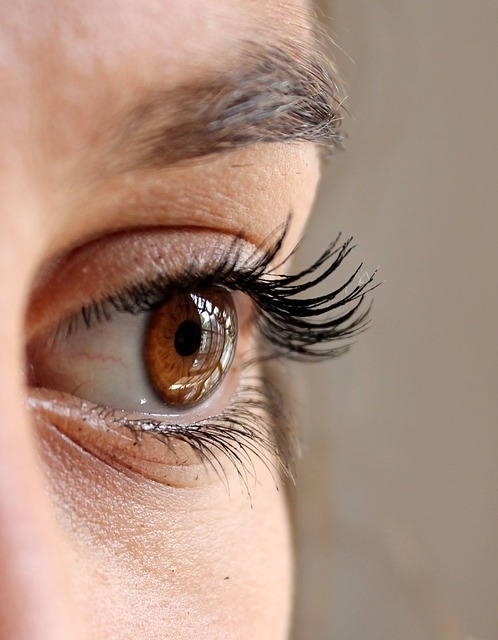 if you are losing your eyelashes and they are not regrowing, you may have a condition known as madarosis. This is characterized by progressive loss of eyelashes, resulting in an uneven, sparsely populated lash line. It may be a sign of an eyelid infection, eye trauma, infestation with the Demodex Folliculorum mite, or metabolic conditions such as hypothyroidism or deficiency of the pituitary gland. If you suspect you have madarosis, consult an eyelid specialist (oculoplastic surgeon) for diagnosis and discussion of treatments. Place a piece of lemon peel in a small jar of olive oil for five days to enhance the lengthening agents of the oil. Also, you can dip a cotton ball in green tea and smear it over the eyelashes. The tea will stimulate growth and help clean the follicles, allowing growth to occur. Clean your eyelash brush regularly to prevent eye infection.Don't be impatient. Keep in mind that eyelashes are the slowest growing hairs on the body. Improve your diet to grow longer eyelashes naturally.Apply natural lubricants.Apply vitamin E oil to your eyelashes with a clean eyelash brush. Brush your lashes regularly. The length of your lashes is genetic. They won't grow any longer. You have to use mascara to make them appear that way. For longer eye lashes just get vaseline on your lashes every night. You will see the wonderful results in just a month. They will GROW. It works wonders. Try it out. I've tried last night, it was such a mess... Vaseline allover. maybe it works, but I don't do it again. Wear several coats of mascara to emphasize the lashes you do have. Also consider wearing fake individual eyelashes while you're growing your natural ones. These aren't as bulky as a full strip of flux lashes and create a more natural-looking lash line. put 2 cups fresh(or 1 cup dried) sage leaves into a saucepan with 3/8 of a cup filtered or mineral water, bring to a boil, simmer 10 minutes, let cool and strain through some cheesecloth or a sieve. Put 1 tablespoon of this mixture into a small bottle, add 2 tablespoons olive oil. shake well and brush onto your eyelashes (or eyebrows) every night, I've tried this and it really makes a difference, no more runny, toxic mascara! *Growing lashes might take some time but for instant result, use a good mascarra on yr eyelashes !!!!! They will look thick, long and dark !!!! Buying natural almond oil helps eyelashes grow . Taking cod liver oil supplements can also increase the thickness of your eyelashes. If you get olive oil in your eye, flush it out thoroughly with water. Are There Something To Help The Eyelashes Grow? its like a remedy , not a cosmetic solution .. Mix olive oil and castor oil in a month you should see a different in the length and thickness of your lashes. Apply Bajaj Almond Drops Hair Oil on your eyebrows along with castor oil and olive oil, it will help you grow thicker eyebrows. If you wear a lot of make up be sure to remove it every night before you go to bed. Leaving make up on at night is not healthy for your eyes or eyelashes. Besides, if the make up remover has a conditioner in it, your eyelashes need that conditioner to stay strong and healthy. Leaving your make up on at night can cause your eyelashes to become brittle and break off. if you want take a natural approach to growing longer eye lashes here are some tips to help. A Healthy diet,Increase your daily vitamin intake,Apply pure vitamin E oil to your eyelashes,Avoid toxic mascara and Remove your eye makeup naturally! Promote Longer Lashes with Lemon Peel. maintaining a good and balanced diet keep the hair in the body growing. Make use of mascaras that have only natural ingredients since artificial ones would only cause eyelash falling. Keeping the eyelash conditioned by brushing and applying oils with natural elements like Vitamin E, Vitamin A, and Omega-3 help keep the hair and lashes stay stronger and longer, and look more lush and healthier. I use Fabulous by Revlone mascara, and an eyelash curler, and get beautiful results. I would recommend that. you can also use faux eyelashes! They really bulk up the eye. Great post, Aparna! I never thought of using oil on my lashes but I can see how it would benefit greatly. hi i used vasline it workd but wen i stopd its useage my eyelashes started falling now m using castor oil but honestly tell u m not getting any result so way 2 do ? Dandruff should be cured immediately as dandruff falling on eye lashes could be harmful. 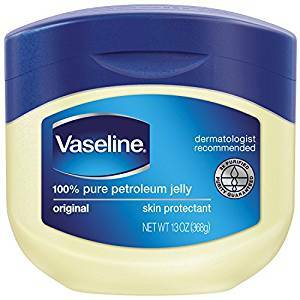 I have used Vaseline for many things because it is an amazing moisturizer, actually one of the best ever and the key to long healthy thick lashes is to condition them and keep them moisturized and ive been usuing vasaline on my lashes for a while now:) ITS AMAZING and i use it every night before i go to bed but make sure you take all makeup off first. I have extememly thick long lashes so this really does work! Vaseline definitely helped me grow my lashes longer. It conditions them so well and makes them feel super soft. Wil jojoba oil work ?? How do you apply the vaseline? Um not taking any chances sorry. Latisse Generic consists of a major ingredient bimatoprost ophthalmic solution and it's recommended to treat hypotrichosis.A condition wherein a person has inadequate or scanty growth of eyelashes is known as hypotrichosis.Latisse Generic helps in their growth thereby making them darker, longer and thicker. I applied Vaseline on my eyelashes every night for 4 days I can already see the difference!! I used Vaseline and castor oil for a while and it made my eyelashes slightly longer and more shinier. But my eyelashes kept falling out and I tried semi permanent eyelash clusters after using false lashes daily. Well, after all my experiments my eyelashes were almost nonexistent. Thanks to a friend of mine who suggested fysiko. I was able to stop eyelash loss and very grateful for length and fullness. I started using vaseline 3 days ago after a whole lot of going through all kind of coments and reviews about vaseling making eyelashes grow. And to my surprise, my lower eyelashes are growing. And by growing i dont mean the existing one only..there are new ones coming out too!. I am glad i tried it despite of mixed attitude and reviews of people . I am gonna use it for a month to see what happens exactly.